In this fall beer blog, we are going to get into another beer from Buckledown Brewery. It is their Oktoberfest. If you read my earlier beer blog posts on their beers, you know the history of this Chicago base craft brewery. If you have not, please, read them to get to know this upcoming craft brewery. Let us get into this fall beer. It has a slightly cloudy dark golden color to a light amber color with a white constant head. The aroma has a sweet malty to caramel notes. The taste has a light to sweet malty notes with a sweet caramel aftertaste. It is a pretty drinkable beer. 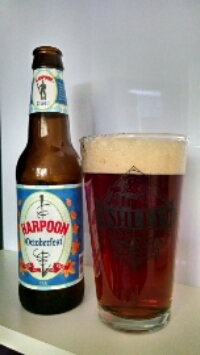 In this fall beer blog, we are going to get into Harpoon Brewery and the beer is their Octoberfest. This is the first time this beer is being featured on this blog. If you read my earlier beer blog posts on their beers, you know the history of this northeast craft brewery. If you have not, please, read them to get to know this 1980’s craft brewery. Let us get into this Octoberfest. It has a clear amber color with a white constant head. The aroma has a sweet malty to nutty notes. The taste has a slight sweet malty to nutty notes with a dry malty finish for the aftertaste. It is pretty drinkable beer. This rich, full-bodied, malty beer – perfectly balanced with a generous dose of hops – calls out for lederhosen, dirndls, and oompah music! And keep them coming, because this is going to be one festive, malty fall. Come to the brewery and celebrate Octoberfest with us! Prosit! Appearance: garnet-red color with a firm, creamy head. 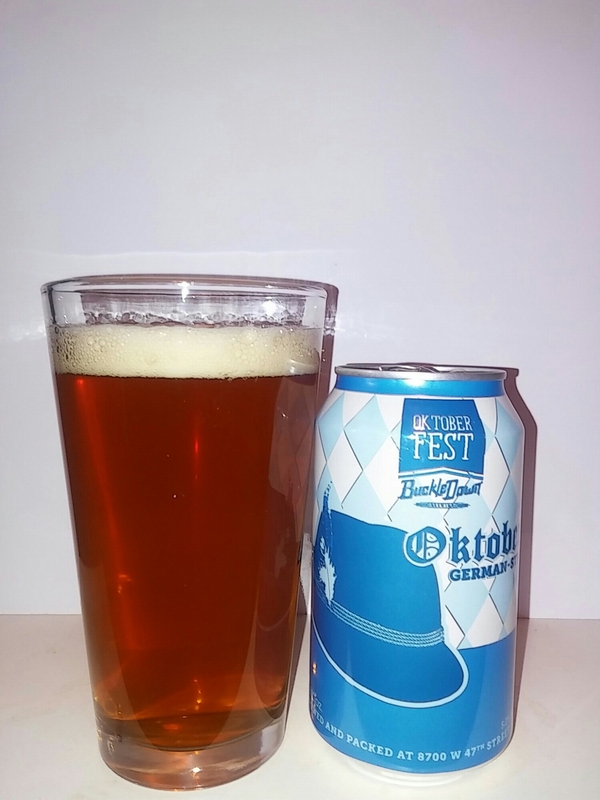 In this fall beer blog, we are going to sample another beer from Samuel Adams and the beer is their Fall Seasonal Samuel Adams Octoberfest Lager. If you read my earlier blog, you know something about this brewery. If you did not, please, go back and read the first part of that blog. Samuel Adams is pretty well known and you might have known them before this beer blog. Let us get into the beer. Samuel Adams Octoberfest is their Fall Seasonal and is available in six pack, twelve pack, fall sampler pack. It has amber color without a head on the beer. It has a sweet malty smell to the beer. The taste of this Octoberfest Lager is a malt beer drinkers heaven. It has a sweet malty aftertaste. It is kind of a drinkable beer. The märzen style gets its name from the month in which it was traditionally brewed. Before refrigeration March was the last month that beers could be put down for the lagering, or cold storage process. The beers would age during the summer months and be enjoyed around the time of the fall harvest. This beer style became a staple beer of the annual Oktoberfest celebration in Munich. The first celebration was originally held in 1810 to celebrate the marriage of the Crown Prince of Bavaria. The village green on which it was first held is now a huge fairground known as the Theresienwiese, after the royal bride. The Oktoberfest tradition has become a world renowned celebration of beer, running for sixteen heady days every autumn in Munich, Germany. Samuel Adams Octoberfest pays homage to the Bavarian tradition by using generous portions of five varieties of malted barley to create a rich, toffee sweetness that is the signature flavor of this popular style. Flavor: Smooth with a deep malt complexity. Lightly hopped for a smooth sweet finish.